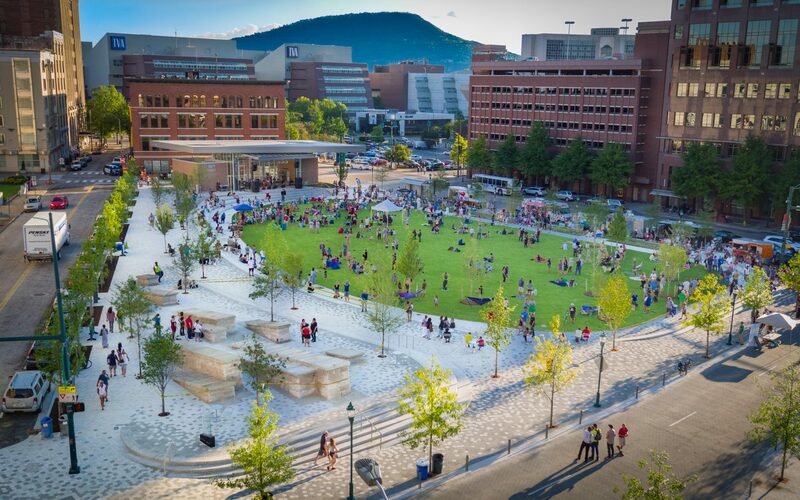 The City of Chattanooga is renovating Miller Park—and the surrounding open spaces and streets—to create a new, vibrant centerpiece to the rapidly developing Innovation District in their downtown. 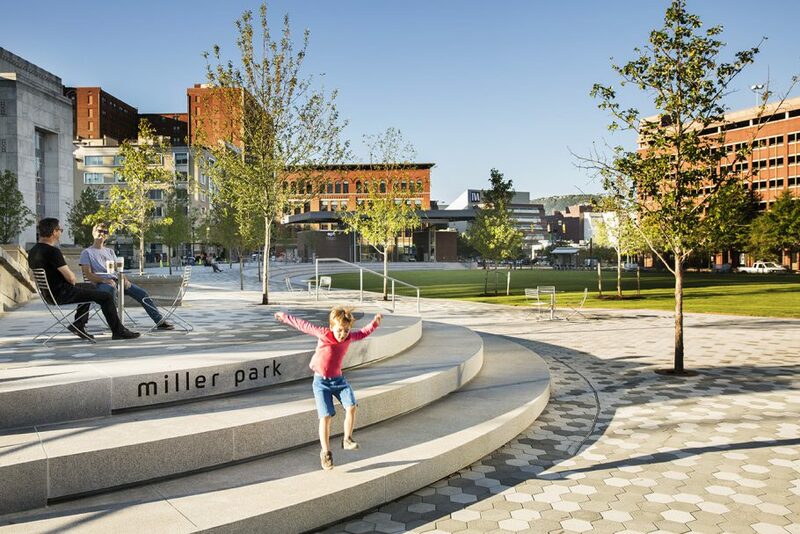 Spackman Mossop Michaels and Eskew+Dumez+Ripple are leading the design of these spaces. 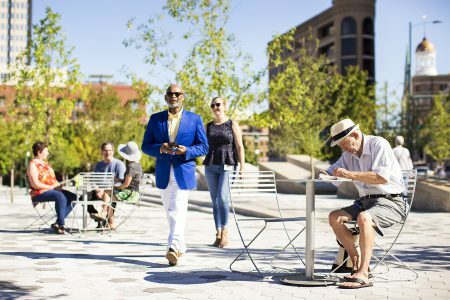 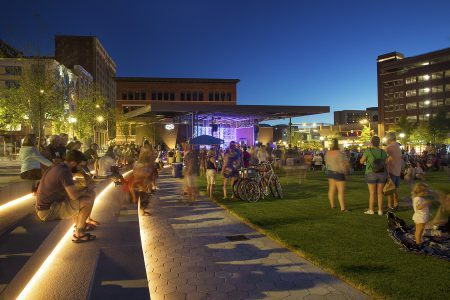 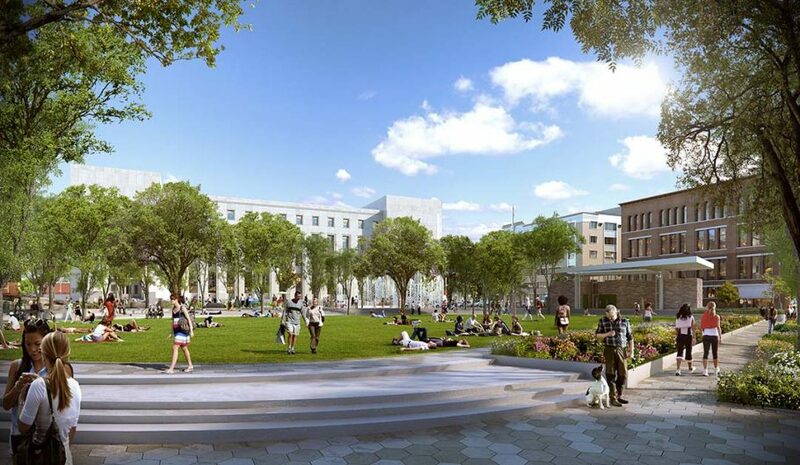 With a focus on events, programming, and walkable connections to the new developments in the Innovation District, the park is destined to become the catalyst for inclusive development in the area. 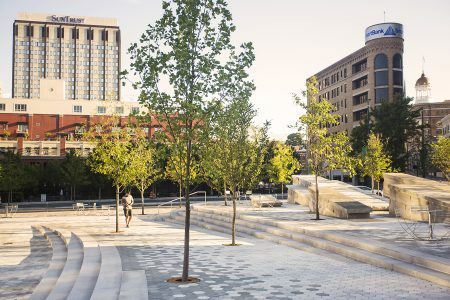 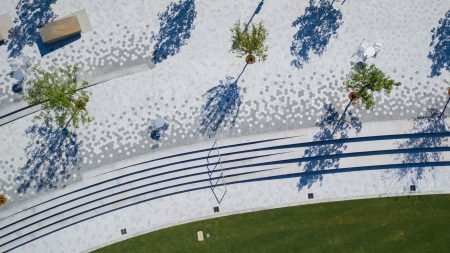 Located in a diverse area downtown—one block from City Hall and the Main Library—the park was designed to be a democratic open space where all downtown residents can come together and enjoy the park. 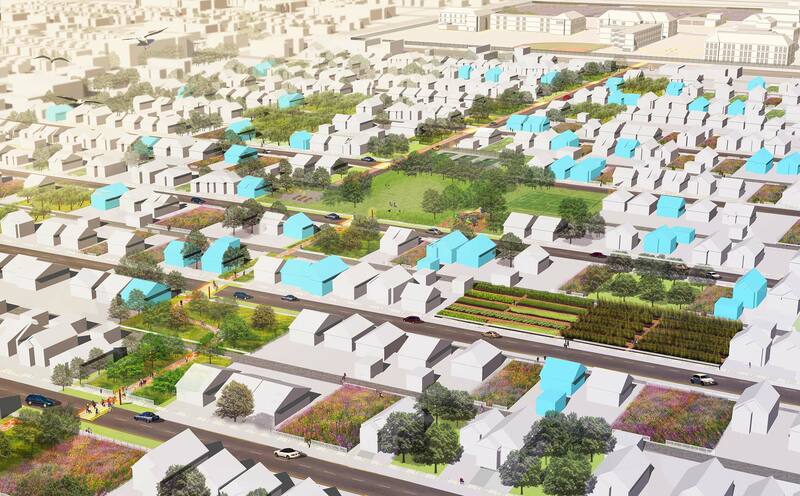 An intensive community engagement process was undertaken to bring many different voices to the table during the design process.